In this year three maths worksheet, your child will practise telling time by drawing the hands on clocks, then adding up the total amount of time passed. 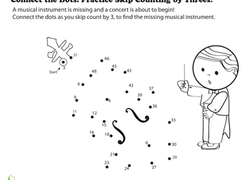 Connect the Dots: practise Skip Counting by Fours! Count by lucky number seven! 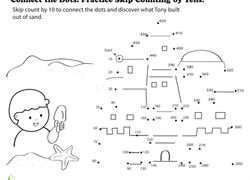 This coloring page dot-to-dot provides unexpected maths practise with a fun activity.